Below you fill find all funeral homes and cemeteries in or near Gambrills. Zip codes in the city: 21054. Some of the notable people born here have been: Denny Neagle (baseball player). It was noted on September 6th, 2017 that James Harold Radford passed on in Gambrills, Maryland. Radford was 81 years old and was born in Covington, VA. Send flowers to express your sympathy and honor James Harold's life. It was written on January 13th, 2017 that Aaron Beamon Sr Martin perished in Gambrills, Maryland. Send flowers to express your sorrow and honor Aaron Beamon Sr's life. It was revealed on December 19th, 2015 that Lawrence Nevitt died in Gambrills, Maryland. Send flowers to express your sorrow and honor Lawrence's life. It was revealed on January 15th, 2015 that Harry Louis Thomas perished in Gambrills, Maryland. Thomas was 92 years old. Send flowers to express your sorrow and honor Harry Louis's life. It was reported by The Daily Journal on October 31st, 2014 that Anna S Hunt (Shakelton) died in Williamstown, New Jersey. Ms. Hunt was 79 years old and was born in Gambrills, MD. Send flowers to express your sympathy and honor Anna S's life. It was noted by The Capital on July 25th, 2012 that Steve Fogarty passed away in Gambrills, Maryland. Fogarty was 62 years old and was born in Waterbury, CT. Send flowers to express your sympathy and honor Steve's life. It was disclosed by The Capital on June 30th, 2012 that Antia Hopkins (Wilrun) passed on in Gambrills, Maryland. Ms. Hopkins was 80 years old. Send flowers to express your sympathy and honor Antia's life. It was noted on June 10th, 2012 that Lenore Cecelia Goodnight (Strache) perished in Gambrills, Maryland. Ms. Goodnight was 98 years old. Send flowers to share your condolences and honor Lenore Cecelia's life. It was written by The Capital on May 6th, 2012 that Jack Jones perished in Gambrills, Maryland. Jones was 80 years old and was born in Andrews, NC. Send flowers to share your condolences and honor Jack's life. It was written by The Capital on April 13th, 2012 that Stephanie N Banchero died in Gambrills, Maryland. Banchero was 26 years old. Send flowers to express your sympathy and honor Stephanie N's life. Its ZIP Code is 21054. The latitude of Gambrills is 39.066N. The longitude is -76.665W. The population may have increased dramatically. 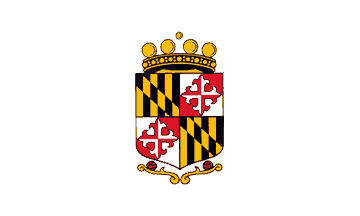 Gambrills is an Unincorporated community town in Anne Arundel County, Maryland Arundel County, Maryland with a population of 7,159 as recorded in the last census in 2000. Listing all funeral homes in Gambrills, Maryland so you can easily send flowers to any location (same day delivery) or find any funeral service. Govoni, Jim - Hardesty Funeral Homes, Gambrills, MD : Reviews and maps - Yahoo! Local, 410.923.2601. Get Ratings, Reviews, Photos and more on Yahoo! Local. We work with local florists and flower shops to offer same day delivery. You will find budget sympathy flowers in Gambrills here. Our funeral flowers are cheap in price but not in value.